Do you or your organisation store non-Google files (such as Microsoft Office files) in Google Drive? If so, you’ve probably found it frustrating to have to download and upload these files every time you want to open or edit them. Drive File Stream can solve this frustration for good by giving you a seamless way to work with non-Google files in their native applications. In this post, I’ll explain what Drive File Stream is, how to install it and how to use it. Note: Drive File Stream is only available for G Suite accounts (for education and other organisations). 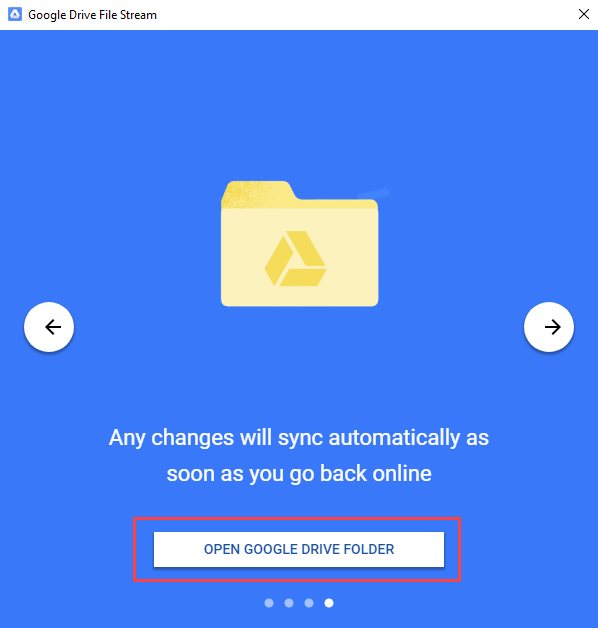 If you want to easily work with non-Google files in a consumer Google account, please read our article on Getting started with Google Drive Backup and Sync. Drive File Stream is an application that gives you access to your Google Drive files from the file explorer on your Mac or PC. 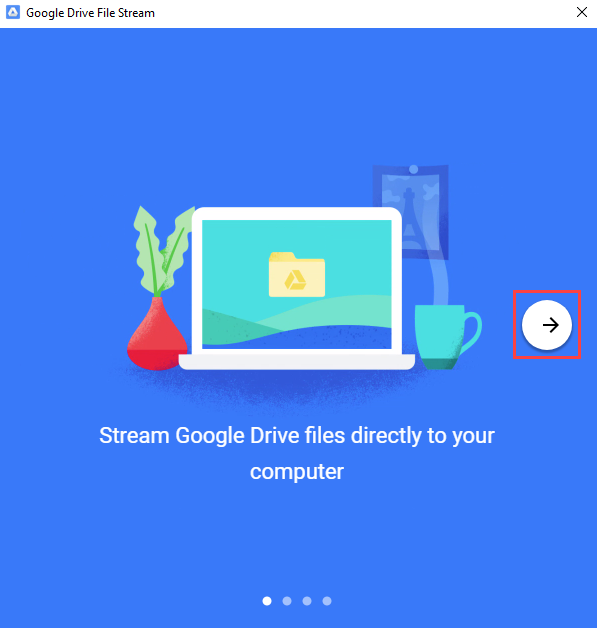 Unlike similar tools, Drive File Stream does not download all Google Drive files on to your computer, it streams the file directly from the cloud to your device when you need it. This avoids filling up the disk space on your device and causing network bandwidth issues. 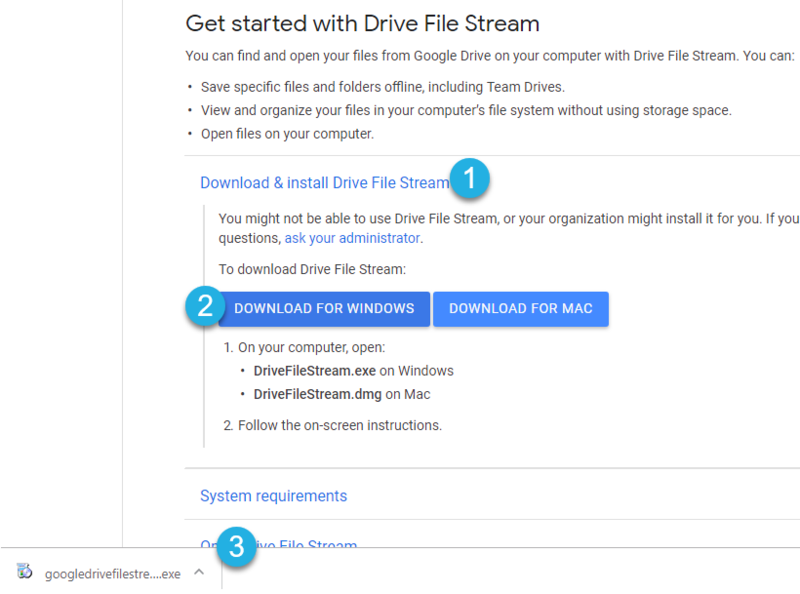 Drive File Stream can be used to access all files in both your My Drive and Team Drives. How can Drive File Stream help me work with non-Google files? Easily open and work on non-Google files in their native applications: For example, you can open a Word file in Microsoft Word and make changes. 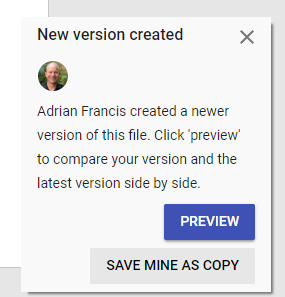 When you save the file, the changed version will be automatically uploaded back to Google Drive. 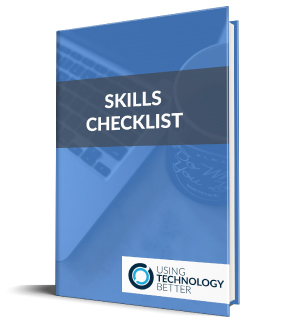 This eliminates the need to download and upload non-Google files. 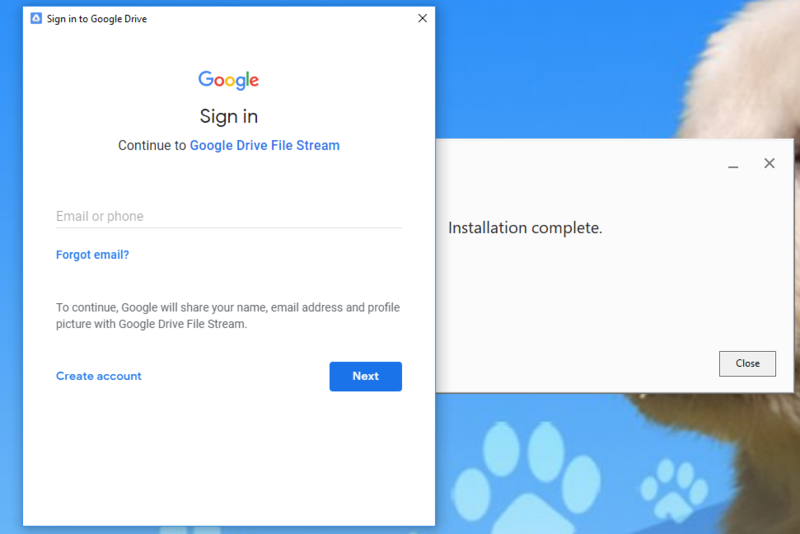 See when other people are editing Microsoft Office files stored in Google Drive: Drive File Stream has a real-time presence feature that can show you when other people are making changes to a Microsoft Office file. This helps prevent version conflicts. Access non-Google files offline: You can nominate specific folders and files to be available via Drive File Stream when you are offline. These instructions are for installing Drive File Stream on a Windows device. If you are using a Mac, please refer to this Google help article. Note: Not all organisations permit their users to install or use Drive File Stream. If you are unable to install the application using the instructions below, please contact your organisation’s IT support team for assistance. 1. Open your Google Drive and click the Settings (cog) button > Get Drive File Stream for Windows. Tip: If you do not see this link, you can access it directly here. 2. Expand the ‘Download & install Drive File Stream’ section and click the Download for Windows button. 3. 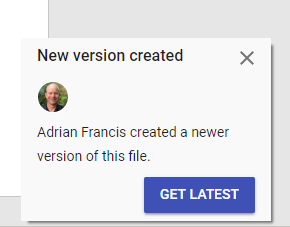 Once the file has downloaded, click on the name of the downloaded file in the bottom left corner of Chrome to start the installation. Note: This assumes you are using Google Chrome. If you are using another browser, you may be automatically prompted to begin the installation, or need to click somewhere different. 4. The Drive File Stream download and install application will launch. After the process is complete, you will be prompted to sign in to Drive File Stream. Enter your username and password to sign in. 5. After sign in is complete, Drive File Stream will launch with a brief introduction. 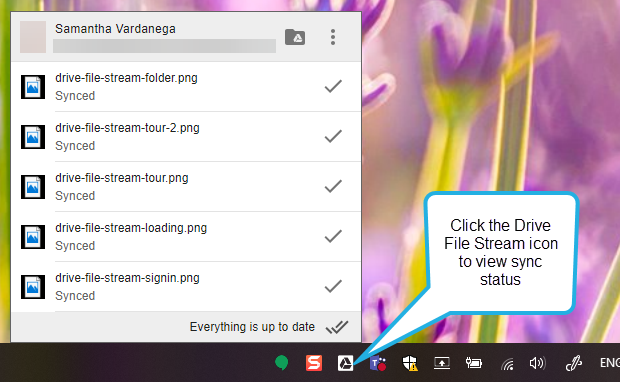 Click the arrow button to scroll through the information and learn more about Drive File Stream. 6. The final information screen will include a button to open the Google Drive folder that has been created on your PC. Click this button to view the folder. 7. 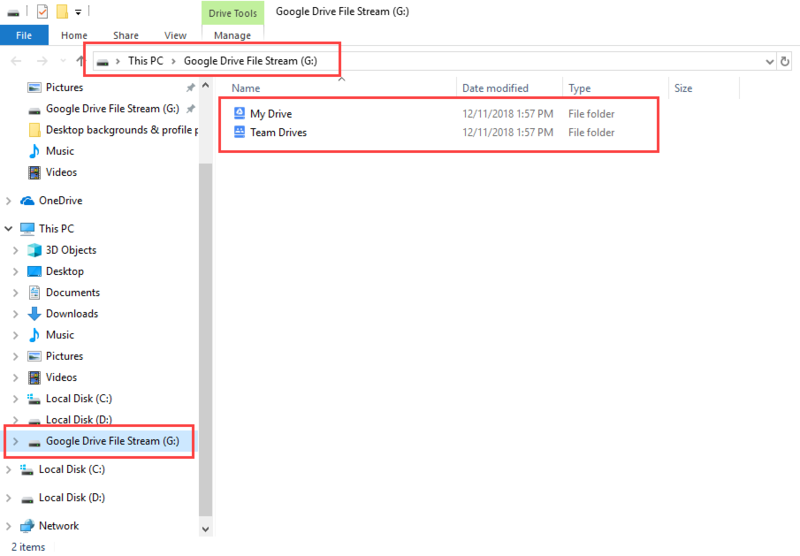 The Google Drive File Stream folder will display in Windows Explorer. In the image below, it is the ‘G’ drive on my computer. However, the letter assigned to Drive File Stream on your computer may be different. To open a file from Drive File Stream, access your ‘G’ drive (or similar) using Windows Explorer and open the desired non-Google file. It will load in its native application. This is the easy bit! Simply save your files as you normally would in their native applications. You can check that they have been synced back to Google Drive by clicking on the Drive File Stream icon in the Windows taskbar. 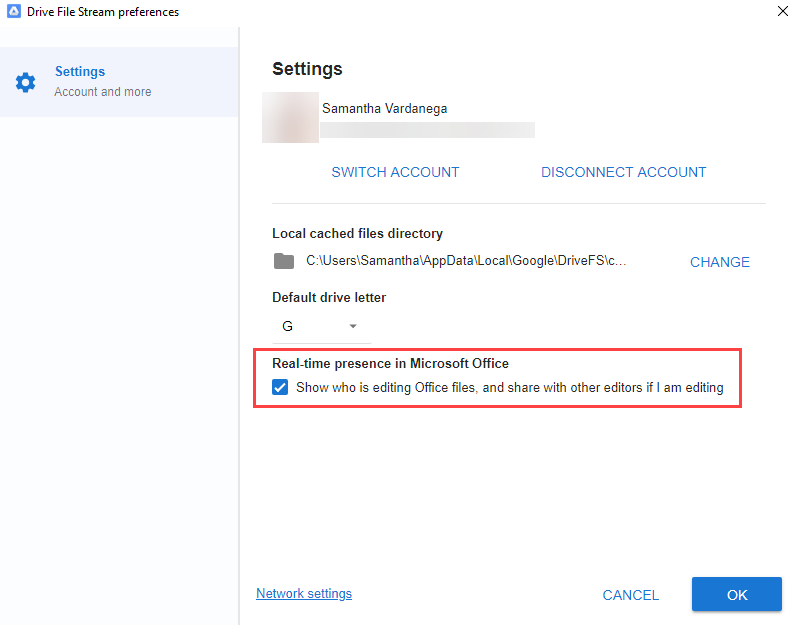 The real-time presence feature allows you to see when Microsoft Office files accessed via Drive File Stream are being used by other, and when it is safe to edit them. This feature will also manage any version conflicts that do occur. 1. Click the Drive File Stream icon in the Windows taskbar. 2. Click the More (three dots) button. 4. Ensure the Show who is editing Office files, and share with other editors if I am editing box is ticked. Click OK. Tip: If you are collaborating with Mac users, be aware that this option may not be enabled by default. I suggest asking them to specifically check this setting before relying on this feature. 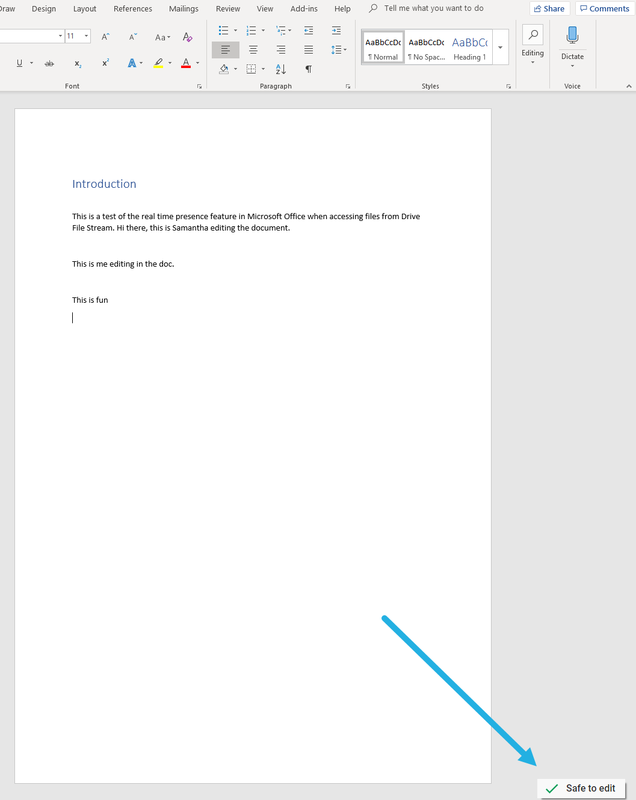 Notifications about the activity of other people who are accessing the file will be shown in the bottom right corner of the Microsoft Office application. When no-one else is editing the file, you will see the ‘Safe to edit’ notification. When someone else is editing the file, you will see the ‘Wait to edit’ notification. After they have finished editing, you will be notified that a new version has been created. Click Get Latest to display the new version. If multiple people do edit the file simultaneously, you will be notified and prompted to compare versions. 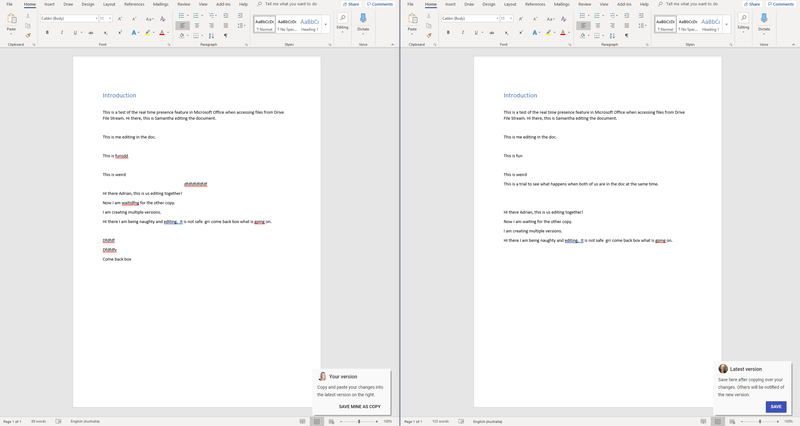 In the comparison view, you can copy and paste your changes into the new document version and save the changes. You can also save your own copy of the file as a different version. To access non-Google files offline via Drive File Stream, you must make them available offline while you still have internet access. You can do this for individual files or entire folders of files. Note: Drive File Stream does not make Google files (e.g. 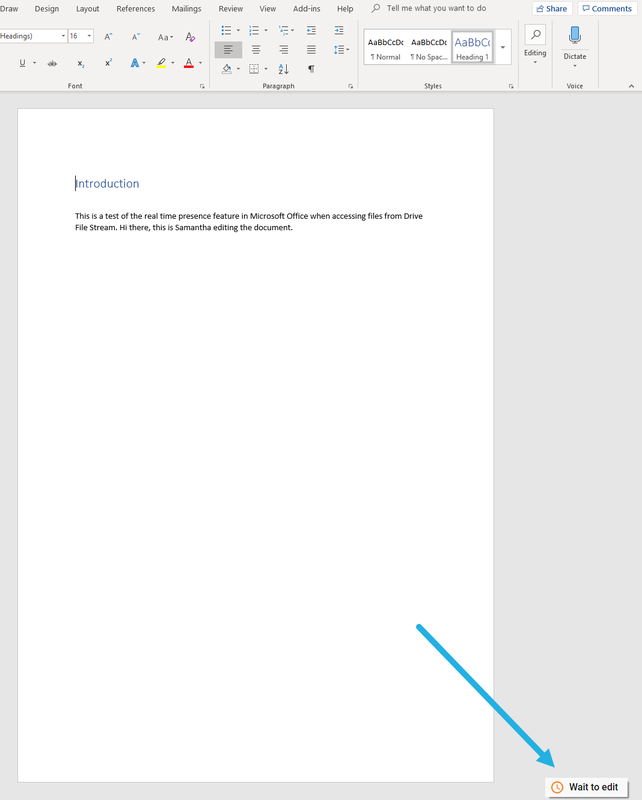 Google Docs) accessible offline . To access these files offline, you need to enable offline mode in Google Chrome. 1. Navigate to the Drive File Stream folder on your computer. 2. Locate the file or folder you want to access offline. 3. Right-click the file/folder, select Drive File Stream > Available offline. 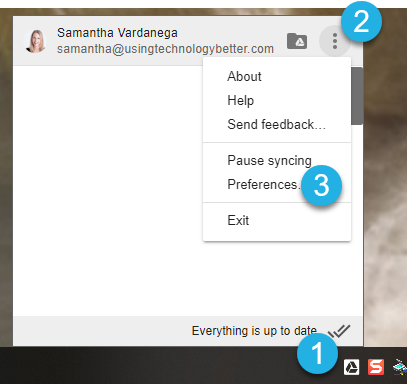 You can learn more about working offline in G Suite in this blog post. Found this blog post useful? 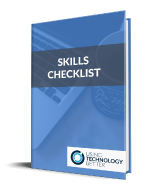 Enquire today about our Google Drive Deep Dive training for organisations.